UX Style Frameworks is a practical guide for the hands-on creation of a Style Framework. This new and collaborative documentation format combines different departments’ standards and style guides into a single, unified, and accessible source for all employees. Marti Gold defines Style Frameworks for web and user experience designers, showing what and how much information goes into a style framework. As UX designers and creative directors are charged with ensuring a business’s web and mobile output are in line with branding standards, the unification of style guides, code libraries, and pattern libraries is an important aspect to dissolving "design siloes" and creating a unified brand. Each section in the book will identify the current pain points and common internal practices that result in standards documents being ignored and eventually becoming obsolete. UX Style Frameworks provides solutions on creating Style Frameworks that evolve to keep standards current, ultimately resulting in more cohesive brand and product designs. Offers a fully functional companion website with a complete Style Framework, showing all examples featured in the book and available for download so that users can start their own Style Framework. Each section includes information about addressing company politics and policies to help readers navigate those murky waters to ensure buy-in and establishment of Style Frameworks. 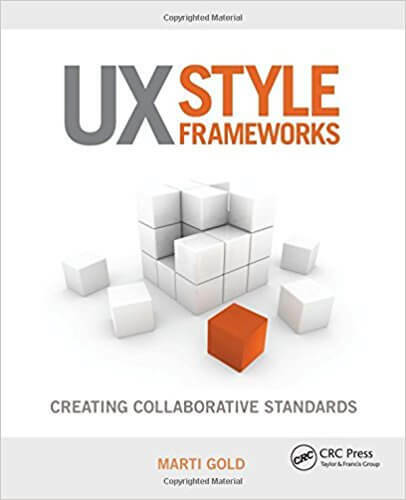 Includes case studies that showcase success stories where Style Frameworks were implemented and not-so-successful stories where Style Frameworks were needed, giving readers examples of different ways Style Frameworks can be incorporated into existing workflows.